In a 48-foot-by-10-foot storage unit several miles south of Portland, pieces of the city’s architectural history are waiting to be reassembled. They belong to a house built in 1949 on a woodsy lot in Lake Oswego. The structure may be modest – it’s only 921 square feet – but its architect, the late Pietro Belluschi, is legendary in Portland. 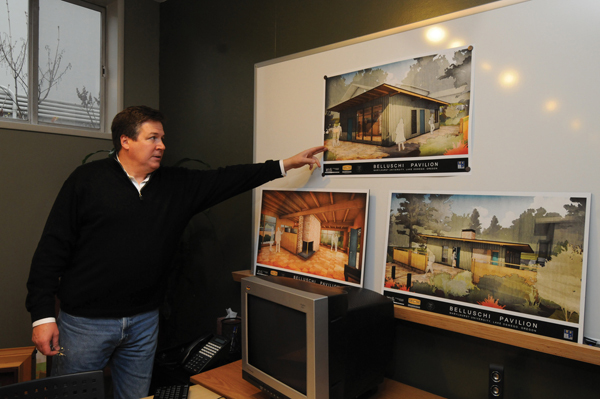 Now, more than 60 years later, local builder Tim Mather of MCM Construction plans to reconstruct the house on Marylhurst University’s campus and unveil a Belluschi design that, until recently, few people knew existed. This entry was posted on Tuesday, December 14th, 2010 at 9:28 pm and is filed under Bulletins, News. You can follow any responses to this entry through the RSS 2.0 feed. Responses are currently closed, but you can trackback from your own site.